There's no denying that white kitchens are a home decorating trend. If you understand how hard it is to keep white things clean, you may be wondering why anyone would desire a room designed completely in white! Some say they are a blank slate waiting to be colored with accessories and paint, while others think that white kitchens feel unfinished, sterile, and uninviting. My brother-in-law thinks the style is bland, one-dimensional, and "he's just waiting to take a Sharpie to the cabinets." Thankfully, if anything ever happens to my kitchen, I’ll know who it was! As much as you may agree with his need to paint the white canvas, there are some things you should know before ruling out the style completely. 1. White kitchens are classic and timeless. The Marin Kitchen Co. says that, "In the past two decades of designing kitchens there has been one constant--the timelessness of a white kitchen. They have transcended every kitchen trend. There are years when white is more popular, but it has always been a constant design." So the answer to Are white kitchens just a current trend? is no. If you spend the money to remodel to white, you probably won't wake up one day with a dated space. 2. They're easy to sell or lease. One of the first things, or in my case, the first thing I look at when we are looking to rent a new home is the kitchen. I look to see if it is clean, updated, and functional. Since white kitchens are timeless, the space needs fewer updates to stay current. 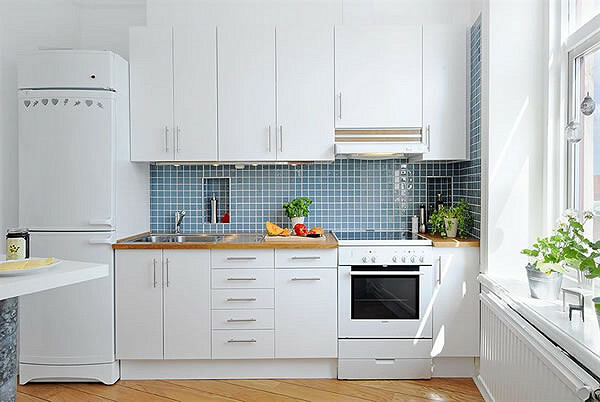 It is always a bonus to see newer appliances and nice countertops but along with that, white is versatile and can be made to fit many styles. 3. They're easy to design. Believe it or not, not all whites have to match. White kitchens should be effortless to design. Don't worry about each shade of white matching the other. The shade variations will add dimension to your space. This little fact makes designing your kitchen area easy. 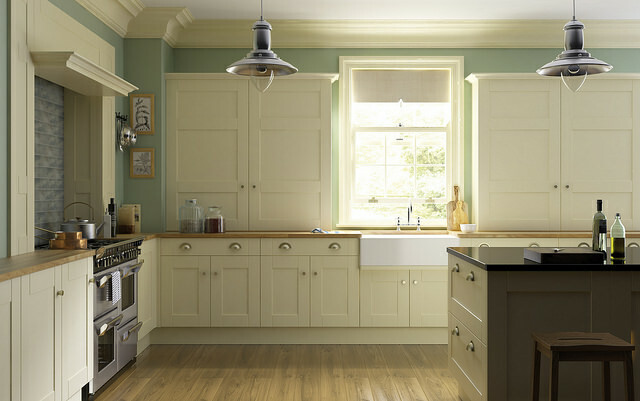 Not to mention, your kitchen eases into the rest of your house with simple accents. A small vase of flowers or picture can be all it takes to make your kitchen fit into the theme of the rest of the house. 4. 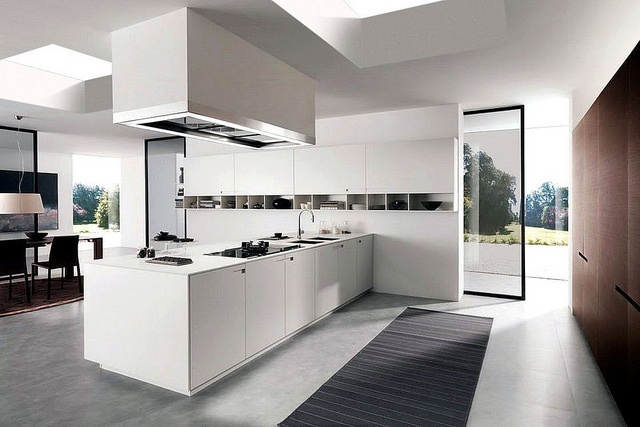 White kitchens emit a clean, cool feeling. Although white cabinets and counters call for more cleaning maintenance, when your white kitchen feels clean, it is clean. There's no mistaking whether or not your surfaces need wiped down. Along with that, white is soothing and emits a calm coolness. Living in the heat or during the summer season, I don't mind spending my time in a white kitchen! 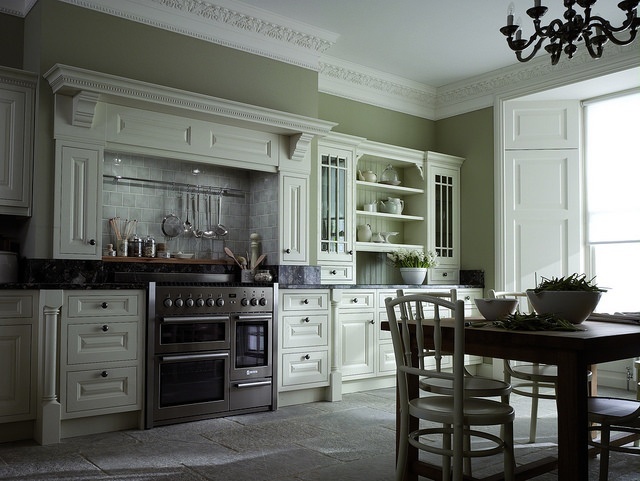 Still not convinced that white kitchens are beautiful? It's okay. But maybe you can understand why people are favoring this look and will likely continue to do so.